The Landings is a multi-dimensional community which has few equals among Sarasota Fl real estate developments. There are 700 residences within this property wherein eight subdivisions were masterfully developed to harness the full potential of its location adjacent to the Roberts Bay and Philippi Creek as well as its proximity to Tamiami Trail (US 41). The Landings real estate for sale is basically composed of freestanding residences, coach houses, carriage homes, and condominium units all creatively developed into eight neighborhoods. The community’s development started some twenty-five years ago, and it now consists of these neighborhoods: Eagles Point, Landings South I and II, Estates, Lakeview, Treehouses, Carriage Houses, and Villas. Besides its waterfront location, this community is likewise noted for its lush, mature trees and exquisite landscaping. One particular point of interest in The Landings is its 7.4-acre Eagles Nest Area, likewise known to residents as The Eagle Preserve, where a pair of bald eagles established their nesting ground some years back. Also, the distinctive residential design in its Treehouses subdivision further sets apart The Landings real estate from typical Sarasota communities. The dwellings in this neighborhood were expertly built multi-level town houses cradled by the stately trees iconic of the community. 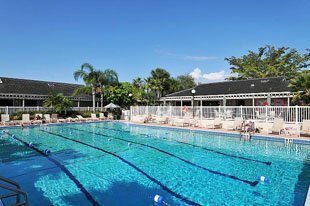 In addition to a luxuriant natural environment, the residents of the eight neighborhoods have access to common facilities including a clubhouse, a swimming pool, a fitness center, spa and sauna and eight Har-Tru tennis courts. 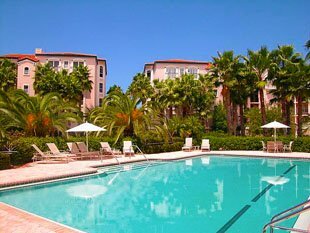 These facilities and the common areas in the property are managed and maintained by the Landings Management Association Inc. (LMA) wherein all homeowners automatically become members and pay an annual assessment. Additionally, the subdivisions have constituent associations of condo and homeowners to which a separate fee is also payable. Attractively priced single family homes and condominium residences for sale at The Landings are often featured in lists of Sarasota homes for sale. The price point for a single family residence built in 1984 with a floor area of 3,000 square feet having four beds and three baths and a half can start at the $500,000 level. For coach houses, a dwelling built in 1986 with 1,600 square feet of floor space having two bedrooms and two baths can be in the market with a quoted price of $250,000. These Landings homes for sale gain value from their proximity to retail shops and lifestyle venues around their locality. Notably, there’s a shopping center right at the community’s main gate at the Tamiami Trail. One local dining attraction here is Gecko’s which prides itself with American pub food with a gourmet twist. 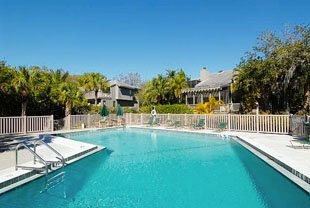 Through the Tamiami, too, Sarasota’s fabled cultural, and life and leisure attractions, plus the beaches of Lido and Siesta Keys, are just minutes away from The Landings.